Monmouth County Health Department (MCHD) celebrated employees who have served or are currently serving in the military on July 25 for National Hire a Veteran Day. We thank our veterans for their service and commitment to making Monmouth County the place you want to be. Alex McKenna served in both the Air Force and Army Reserves. 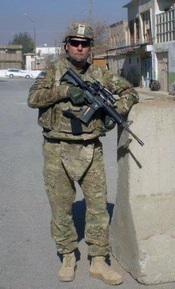 He was a KC-10 Crew Chief in the Air Force from 1998 to 2002 and in 2009 he joined the Army Reserves where he still serves today as a Chemical, Biological, Radiological and Nuclear (CBRN) Non-Commissioned Officer (NCO). Alex has been deployed overseas three times. Twice with the Air Force for Operation Southern Watch in 2000 and again in 2001-2002 for Operation Enduring Freedom. His last deployment was to Afghanistan in 2011-2012 with the Army Reserves. After joining the reserves, he used his post 9/11 GI Bill to receive his B.S. in Fire and Emergency Management from Kaplan University and is currently working towards a Master’s Degree in Homeland Security and Emergency Management from Purdue University. Alex started working for the MCHD July 2016 as a HAZMAT Responder. 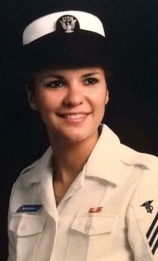 Victoria Dean served four years in the U.S Navy from 1988-1992. Victoria attended boot camp and then Dental “A” Technician School in San Diego, CA. In 1990 she attended advanced training and became a Dental Hygienist. She was stationed in Orlando, FL., Great Lakes, IL, and finished her career in Groton, Ct. at the Naval Submarine Base as an E-4. After Victoria got out of the Navy she went on to receive her BS degree from Monmouth University and is part owner of a Dental Sales and Service Company with her husband, who is also a Navy Veteran. Victoria started working for the MCHD April 2017 as an Assistant Administrative Analyst. The MCHD provides free childhood immunizations to children from birth to 18 years old, who are uninsured and live in a participating Board of Health municipality. With parental permission, the children will be entered into a statewide immunization registry, encouraging timely and age appropriate immunizations. Services are provided at the Monmouth County Social Services Building, 3000 Kozloski Rd. Freehold, NJ 07728. To make an appointment, call 732-294-5458. Clinic days are Mondays, from 9 a.m. to noon, and 1:30 -3:30 p.m.
For Adults (18 and over), Influenza, Tetanus, Diphtheria and Pertussis, Hepatitis A and B, and Meningococcal immunizations are available. To make arrangements, call 732-431-7456. Lead in drinking water remains a very serious concern in schools and older homes. Lead-based paint in homes also present a hazard. The MCHD has an abundance of information available to residents through the Childhood Lead Poisoning Program. Our goal is to protect children from exposure to lead before they are harmed. No safe blood lead level in children has been identified; even low levels of lead in blood have been shown to affect IQ, ability to pay attention, and academic performance. Lead hazards in a child’s environment must be identified and controlled, or removed using Lead Safe Work Practices or a licensed Lead Abatement Contractor. Sunscreen: Put on broad spectrum sunscreen with at least SPF 15 before going outside, even on slightly cloudy days. Be sure to check the sunscreen’s expiration date: sunscreen without an expiration date has a shelf life of no more than three years, but the shelf life is shorter if it has been exposed to high temperatures. Fish kills cause alarm to the public, especially when occurring locally. Most fish kills occur naturally; when large schools of fish enter an area of water with low oxygen levels. They can also be caused by algae blooms and water contamination. Should you encounter a fish kill, contact the MCHD. Do not attempt to touch or handle the fish. Visit our Algae Monitoring page to read about algae sampling and active advisories affecting Monmouth County. Do you have a question about a Public Health topic? Restaurants? Body Art? Tanning? Rabies or Animal Control? Septic Systems? Environmental issues? Immunizations? Solid Waste? This is your opportunity to Ask The Inspector. 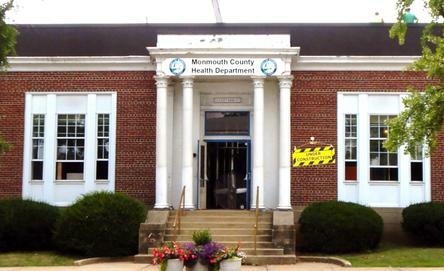 Send your questions to health@co.monmouth.nj.us, and we may answer them in an upcoming newsletter. Q. I have heard the old adage that you should not eat raw clams and oysters in summertime. My mother always told me “Don’t eat shellfish in months that do not have an “R” in them... Is this true? A. Shellfish are filter feeders. They filter the water around them to obtain the nutrients they need to stay alive. Months “without an “R” (May through August) can be problematic for shellfish for a number of reasons. In the summertime the water the shellfish grow in is warmer. Therefore, bacteria and other pathogens may be present in the water column in greater numbers in the summer. One of the primary pathogens of concern is Vibrio. Vibrio Parahaemolyticus which causes gastrointestinal distress and its more virulent “cousin” Vibrio Vulnificus which could lead to septicemia, shock and sometimes death are two organisms associated with the ingestion of raw and undercooked shellfish. Red tides and algae blooms which sometimes occur in the summer months can produce toxins. These toxins can be taken up when the shellfish filter the water and passed on to the end consumer. Shellfish spawn in the summer, which could result in the meat looking thin, white and unappealing. This is more of an aesthetic concern than a public health issue. Conversely, some shellfish are processed by moving the shellstock to a different (cleaner) shellfish bed or by depuration (commercially placing the shellfish in a water environment that is mechanically filtered) for a period of time. Processed shellstock should be relatively free of potential pathogens. This information is not generally available to the purchasing consumer. With the advancements in water quality monitoring, depuration, refrigeration and transportation, the risk associated with the consumption of raw and undercooked shellfish is not what it may have been years ago.But if you want to be totally safe, cook your shellfish to 145 degrees Fahrenheit prior to consumption, and listen to your mother! In early 2019, the MCHD’s main office will be moving to 50 East Main Street in Freehold Borough. Check our website, newsletters, and press releases for information on the official date of the next chapter for our Department! The MCHD conducted over 6,000 air, water, noise, solid waste and hazardous materials environmental compliance inspections in 2017. The next meeting will be held on Tuesday, May 15, 2018. Review previous meeting minutes here.